Click below to log in and make a one-time or recurring gift today. Even if you’ve never set up an account before – it only takes a moment. And you can use this option to give quickly by credit card, debit card or set up a convenient Automatic Bank Debit. You will also have immediate access to your giving history to help you honor God with your finances. Give a quick gift using your debit/credit card or checking account in 60 seconds or less without creating or logging into an account. Text the word “Give” to (561) 962-1772 to give a one-time gift or to setup a recurring gift via text message. One-time registration is required and takes 60 seconds or less. The ministry of The Journey Church is funded by God’s provision through the tithes and offerings of faithful Journey members and attendees. Sharing Christ with our community through outreach projects and special events. We'd love to hear from you. Fill out the form below or call 561-420-0606. Automated Bank Debit is the easiest and most effective way to automate your giving. 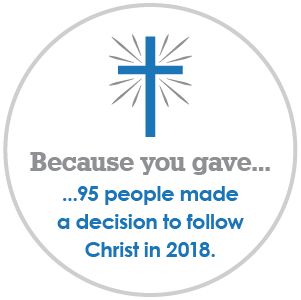 Plus, 100% of your gift goes to the ministries of The Journey because there are no processing fees. To sign-up, complete an auto-debit form and mail or fax the completed form to The Journey office to have your giving automatically deducted from your checking or savings account. You may give by transferring stocks/bonds/securities to The Journey’s account. Email [email protected] or call 561-420-0606 x3 to let the church know of your gift so that we can alert our broker. The Bible teaches, “The purpose of tithing is to teach you always to put God first in your lives.” (Deuteronomy 14:23 TLB). Tithing is God’s personal invitation to an outpouring of his blessing in your life and an act of worship that expresses our gratitude, faith, and love for others. One way The Journey encourages you to honor God in the area of the tithe is by committing to tithe over the next 4 months. Discover how to take the 4-month Tithe Challenge today. Not only will you be obeying God, but God will bless you in return.